There's already a team playing there that's done nothing since the 80's except collect spoons. I'd be very surprised if we didn't come last this season though. 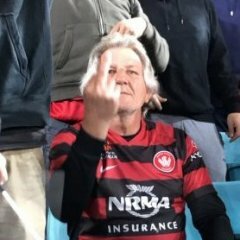 Risdon ruled out with injury. He'll miss four weeks. AB10 and Ziegler back in the squad. Bridge only 1 week away now !! Unbelievable! Do we have statutory declarations and sworn statements? Ziggy and Treejack. Das extra gut. Greenshields is the least of our worries. Shaun Evans used to be good but has been brainwashed by the referees establishment. How Kurt Ams got any more a league appointments after his performance a couple of weeks ago is beyond me. I have no confidence that we will get a fair shake on Saturday. In +3, although one is a Mariners fan. Does she count? Yes, but it will be 1 week for the next 8 weeks. We desperately need Bridgey back. His leadership is underrated. Mariners link about them if interested. 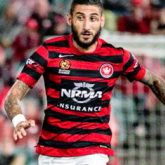 Old mate Karacan will find Gosford stadium a touch different from The Den !! Didn't he almost get red carded last week? I must say, I'm quite surprised with the weather tonight. The storm usually arrives in game day. Don't worry.....storms predicted for tomorrow arvo and evening as well. Don't say that. Of all the things that can go wrong, that's the worst scenario. Only if his third goal is in the 94th minute! Sydney trains trip planner shows no trains to Olympic Park. Bus trip from Strathfield if you plan catch public transport.